Thomas CUSHMAN Sr. (1608 – 1691) was Alex’s 10th Grandfather; one of 2,048 in this generation of the Shaw line. Thomas Cushman Sr. was baptized at St. Andrew Parish, Canterbury, Kent, England, on 8 Feb 1607/08,Canterbury, Kent, England. His parents were Robert CUSHMAN and Sarah REDER. He came to Plymouth in 1621 at the age of thirteen on the ship Fortune with father Robert Cushman, a prominent member of the Pilgrims’ congregation in Leiden. When his father died of the plague in London in 1625, he was raised in the family of Plymouth Colony Governor William Bradford. He married Mary ALLERTON in 1636 in Plymouth, Mass. He succeeded William BREWSTER as Ruling Elder upon Brewster’s death in 1644 and served until his death in 1691. 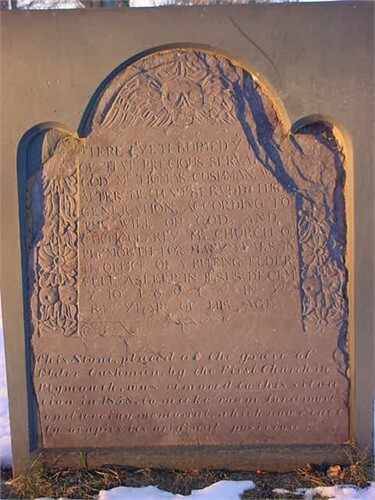 Thomas died 10 Dec 1691 in Plymouth, Mass. Mary Allerton was born in Jun 1616 in Leyden, Holland. Her parents were Isaac ALLERTON and Mary NORRIS. 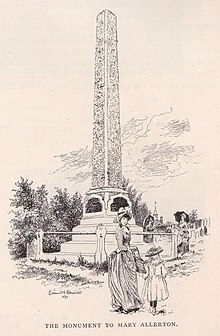 When Mary died on 28 Nov 1699 in Plymouth, Mass, she was the last survivor of the Mayflower. (Wikipedia) She arrived at Plymouth on the Mayflower when she was about four years old and lived there her entire life; she died aged 83. 11 APR 1661 Lynn, Mass. Lynn, Mass. 22 Oct 1690 Lynn, Essex, Mass. 2 Mar 1682/83 Plymouth 4 Sep 1727 Plympton, Mass. Taken by father to Leiden, Holland, shortly after baptism; age 10 sailed to Southampton, England, with stepmother on the Speedwell; sailed on Speedwell (with Mayflower), 1620, for New World, with father (stepmother? 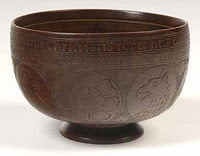 ), but abandoned voyage when vessel put back 3rd time; arrived at Plymouth, MA, on the Fortune in 1621; father returned to England leaving Thomas as ward of Governor Bradford. Thomas settled in that part of Plymouth now Kingston. He was appointed successor to Elder Brewster in 1649, continuing in the office until his death, Dec. 11, 1691. More than 43 years. … He for several years was assistant to the Governor, and went to London five times in the interest of the Colony. He spent the latter part of his life in New Haven, where he died. 1 Jan 1633 – These following were admitted into the freedom of the society, viz: Mr. William Collins, Thomas Willett, John Cooke and Thomas Cushman.” He was then twenty-five or twenty-six years of age. 1 Jul 1634 – “At a generall Court holden before the Governor and Councill, Thomas Cushman plantife agaynst John Combe, Gent, defendant, being cast and adiudged to pay the sayd summe of ten pounds to the plaintife or his Assigns at or before the first of Aug. or else to deliver to him a sufficient cow cafe weaned or weanable. 1635 – Thomas Cushman first served as a Juryman. 1637 – There was granted ” to Thomas Cushman the remaynder of the marsh before the house he liveth in wch Mrs. Fuller doth not vse and the little pcell at the wading place on the otherside Joanes River.” It is supposed that he removed to Jones River (now Kingston) about this time, “which was not long after he was married, and that there he lived and died. 1645 – He purchased ” Prence’s farm ” at Jones River (now “Rocky Nook,” in Kingston,) by exchanging land at Sowams for it, for £75. 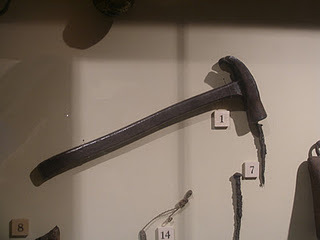 It was first owned by his father-in-law, Isaac Allerton. The exact locality of his house is now pointed out, and a spring of water near it has for many years received the cognomen of” the Elder’s Spring,” from Elder Thomas Cushman, whose house stood near it. It is located in that part of Kingston now called “Rocky Nook,” about fifty rods northerly from the present traveled highway, on the border of the marsh. A description and the boundaries of the land as given in the early Colony Records, show, beyond a doubt, that the tradition respecting that spring and the location of the Elder’s House, must be correct. 6 Apr 1649 – Cushman succeeded William Brewster as Ruling Elder of the Plymouth Church the position having been vacant since 1644 (Ply. Ch. Recs. 1:165). 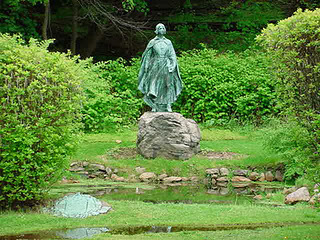 29 Mar 1653 – Ousamequin (Massasoit) and his oldest son Wamsitto convey by deed a tract of land in Rehoboth to Thomas Prence, Thomas Cushman and others, for which they pay the sum of thirty-five pounds sterling. 3 Jun 1657 – Gov William Bradford’s will proved. Elder Cushman, having been raised and educated in the family of Gov. Bradford, was ever his intimate and confidential friend. He was, therefore, the principal witness to his Will. The Governor’s estate was also inventoried by Thomas Cushman. He had differences with the pastor, John Cotton, as the latter noted in church records in 1683, writing that the elders met with the pastor and decided to put their differences to some other churches for advice, and the Elder (Cushman) moved that the magistrates be invited to meet with and advise them. In succeeding months there are additional intimations of differences in which “the Elder showed discontent” (Ply. Ch. Recs. 1:251, 253-54). The signatures of Elder Cushman and of his minister. Rev. Mr. Cotton, written in the year 1682. “Elder Thomas Cushman’s Will and Inventory, and the Records of His Death,” MD 4:37 ). In his will dated 22 October 1690, sworn 16 March 1691/92, he named his wife Mary, sons Thomas, Isaac, Elkanah, and Eleazer; daughters Sarah Hawks and Lydia Harlow; and the three children of his daughter Mary Hutchinson. He also had a daughter Fear who predeceased him without issue. Cofy of Probate Records for the County of Plymouth—Book 1, Commencing with page 120. I will and bequeath unto my dear and loving wife Mary Cushman all my house and housing, together Avith all my uplands and meadow lands I am now possessed of in the township of New Plimouth, to be for her use and support during ye time of her natural life, excepting such parcels as I do in this my will give to my children. Item, — I give unto my son Thomas Cushman two twenty acre lots lying upon ye southerly side of Mr. Joseph Bradford’s land, as also ye enlargeraents of ye head of these lots ; and also twenty acres of upland, more or less, lying upon ye easterly side of Jones River by the bridge, with a skirt of meadow lying by said river ; and also one third of my meadow at Winnatuxet, and also a parcel of salt marsh meadow from our spring unto a cross westerly of a salt hole and so down to ye river, which said parcel of meadow is to be his after our decease. All ye above said parcels of upland and meadow I do by these presents give and bequeath unto my son Thomas Cushman, to him and his heirs forever. lot, with ye addition of ye hcad lying on the northerly side of Samuel Flanders land in ye Township of Plimouth, and also the one half of my land lying at Nemasket Pond in ye Township of Middleborough as also ye one half of my right in the sixteen shilling purchase, so called, in Township above sa’d, and also one third part of my meadow at Winnatuxet in Plimouth, all which parcels of upland and meadow last above expressed, I do by these presents give and bequeath unto my son Isaac Cushman, and to him and his heirs for ever, together with all the privileges thereunto belonging. last above expressed, with all the privileges thereunto belonging I do by these presents give unto my son Elkanah Cushman, and to his heirs forever. my lands both upland and meadow lands not above deposed of in Plimouth and Duxborough, as also my new dwelling house and out housing, which house and lands I do by these presents give and bequeath unto my son Eleazer Cushman, to him and his heirs forever to enjoy after I and my wife are deceased. And my will is that my four sons Thomas, Isaac, Elkanah and Eleazer shall each of them allow twenty to their sisters, that is to say Sarah Hauks and Lidiah Harlow. As also my will is that if any of my sons se cause to make sale of their land I have given them in Plimouth, that they do let their hrothers that do reside in Plimouth have the said lands as they shall be valued by five different men as also my will is, and I do by these presents give and bequeath unto my three grand children in Line the children of my daughter Mary Hutchinson deceased, to each of them twenty shillings to be paid unto them out of my estate soon after my decease. And I do constitute and appoint my dear and loving wife Mary Cushman to be the sole executrix of this my last Will and Testament, my debts, legacies and funeral charges being first paid my will is that whatever other estate is found of mine in goods, chattels or debts either in Plimouth or elsewhere shall bo for ye support of my wife during her natural life ; and my will is that what remains of my estate at my wife’s decease the one half I do give to my son Eleazur Cushman and the other half unto my two daughters, to Sarah Hauks and Lidiah Harlow to be equally divided between them. And my will is, and I do by these presents appoint my two sons Thomas Cushman and Isaac Cushman and Thomas Faunce to be ye supervisors of this my last will and testament, much confiding in their love and faithfulness to be helpful to my s’d executrix in the acting and disposing of particulars according to the tenore thereof, thus hoping that this my last will and testament will be performed and kept, revoking all other wills, written or verball. I have in witness thereof set to my hand and seal on the 22d of October, 1690.
in presence of us witnesses. Whereas in my last Will, which was in sixteen hundred an ninety that I then left out a certain piece of land undisposed of which was one hundred acres of land lying in the Township of Plimouth upon a brook commonly called Colchester Brook/ on both sides of ye said brook, which I reserved to sell for my support, or my wife’s after my decease. My Will is therefore that my son Thomas Cushman and my son Isaac Cushman shall have the above hundred acres of land to be divided equally between them to them and their heirs and assigns forever, provided that they equally shall pay or cause to be paid ten pounds in current silver money to me above said Thomas Cushman, Sen’r, or my wife after my decease, or after decease to be paid equally to my two daughters, Sarah Hauks and Lidia Harlow. Also I the above said Thomas Cushman do will and bequeath to my four sons, Thomas Cushman and Isaac Cushman and Elkanah Cushman and Eleazer Cushman, all my books, equally to be divided among them, only two small books to my daughter, Lidia Harlow, and my best bible to my loving wife Mary Cushman, likewise also I do give and bequeath unto my son Elkanah Cushman one acre of meadow which was granted unto me, lying at Doties meadows. Plimouth being now in perfect understanding, April 1, 1691. Signed, sealed and declared in presence of us witnesses. Sarah’s first husband John Hawkes was born 13 Aug 1633 Charlestown, Mass. His parents were Adam Hawkes and Ann [__?__]. 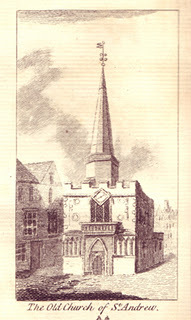 John died 5 Aug 1694 Lynn, Essex, Mass. He first married 3 Jun 1658 Lynn, Essex, Mass. to Rebecca Maverick b. 7 Aug 1639 Lynn, Essex, Mass. His name is sometimes erroneously written Hooks. Within twenty days of 14 Nov 1675, the couple experienced a severe affliction in the loss, by death, of all their daughters, excepting the infant Mary. Martha’s husband Francis Hutchinson was born 1630 Alford, Lincolnshire, England Francis died 12 Nov 1702 Reading, Mass. Isaac’s wife Rebecca Harlow was born 12 JUN 1655 Plymouth, Plymouth, Mass. Her parents were William Harlow and Rebecca Bartlett. Rebecca died 3 Sep 1727 Plympton, Plymouth, Mass. Isaac was a member of the chh. at Plymouth, and obtained a better education than most men of that day. In 1685 he was one of the Selectmen of Plymouth, and in June 1690 he and John Bradford were tbe Deputies from Plymouth to the General Court of tbe Plymouth Colony, and in Aug. the same year another General Court was held and the same Deputies were re-elected. He was the first minister of the Church of Plympton (37 years in his ministry). Elkanah’s first wife Elizabeth Cole was the daughter of James Cole, Jr. Elizabeth died 4 Jan 1681/82. 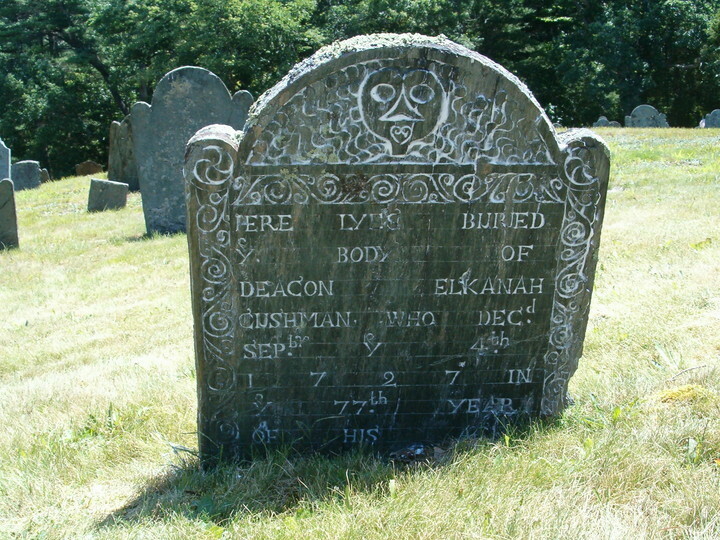 Elkanah’s second wife Martha Cook was born 16 Mar 1658/59 Plymouth, Mass. Her parents were Jacob Cook and Damaris Hopkins. Martha died 17 Sep 1722. Plympton, Plymouth, Mass. Eleazer’s wife Elizabeth Coombs was born 30 Nov 1662 Boston, Mass. Her parents were John Coombs and Elizabeth Royal. 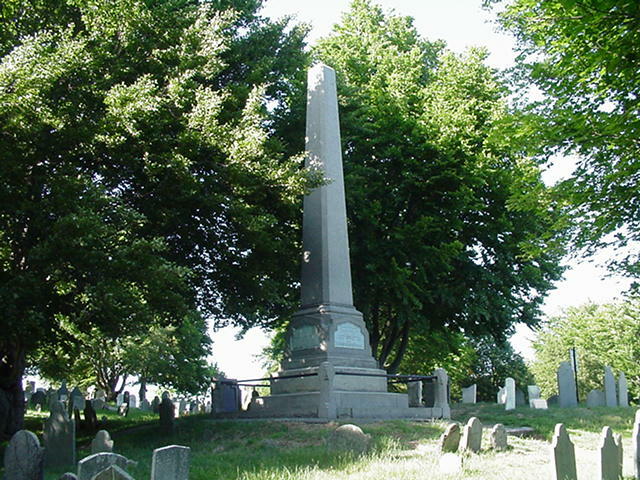 Elizabeth died in Plympton, Plymouth, Mass. Eleazer was a church member, and was received during the ministry of his brother, Rev. Isaac Cushman. 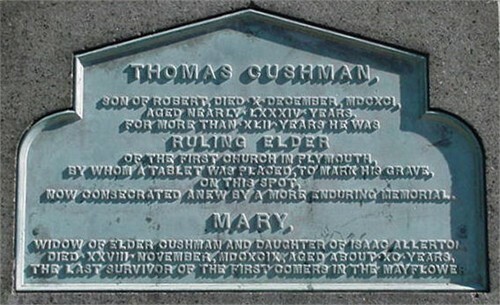 From `Isaac Allerton of the Mayflower`: Eleazer Cushman held offices in Plymouth as late as 17 March 1710/11, so most of his children were born there. In 1722 (no date) Eleazer Cushman deeded land to son Moses Cushman. On 14 Oct 1723 Eleazer Cushman Sr. of Plympton deeded his homestead in Plympton to son Eleazer Cushman reserving the right to live there during his life as well as his wife as long as she remained his widow. A November 1733 petition mentions Eleazer Cushman. His land was to remain in the old precinct (Plympton). No Plymouth Co. PR for Eleazer Cushman.He had possibly an 8th child, a daughter, Mary. Lydia’s husband William Harlow was born 2 Jun 1657 Plymouth, Plymouth, Mass. His parents were William Harlow and Rebecca Bartlett. 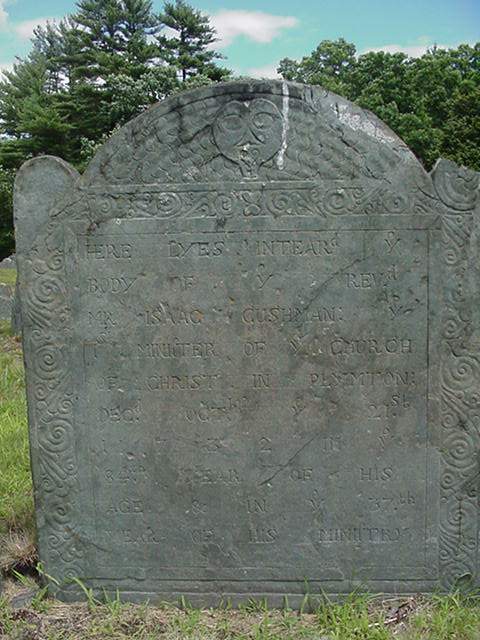 William died 28 Jan 1711/12 Plymouth, Plymouth, Mass. This entry was posted in 12th Generation, Artistic Representation, First Comer, Historical Monument, Immigrant - England, Line - Shaw, Public Office and tagged Signature, The Fortune 1621. Bookmark the permalink. 15 Responses to Thomas Cushman Sr.
How can , Elkanahs ,and, Eleazar…..both….have Elizabeth Cole, daughter of James Cole jr.
Who died on the 4 Jan 1681 , be their first wife’s? It looks like Elkanahs was Elizabeth Cole’s husband, not Eleazar. I have made the updated and added a bit more about Eleazar.